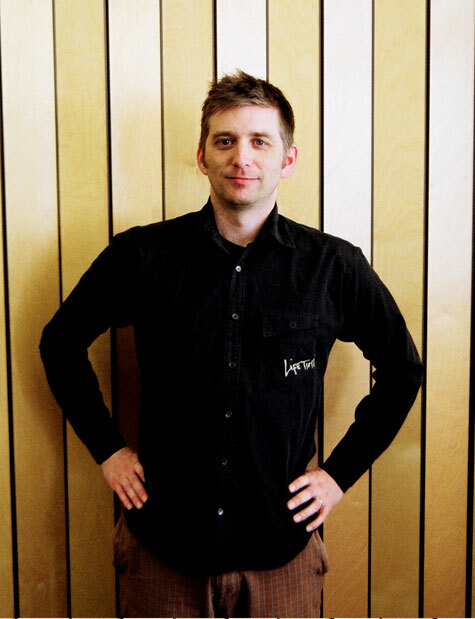 John K. Samson Goes Solo. But Didn’t He Do This Before? In the realms of “best songwriters” around today, I’d feel pretty comfortable saying John K. Samson of The Weakerthans is one of the top ten. He is sort of like John Darnielle’s anarchist (opposed to Antichrist) cousin from Canada, and we love him almost as much as we heart Mr. Mountain Goat. Today, via press release, we hear that Samson is going to begin delivering solo albums “exploring the atmospheric streets and highways surrounding the musician’s home in Winnipeg Canada”, on Anti- Records. The first album titled, “City Route 85” drops tomorrow via 7 inch, and digital download, and while we are excited to hear Mr. Samson will continue to write songs that we will inevitably love, we have to ask: wasn’t The Weakerthans his “solo project” when he quit Propagandhi all those years back?